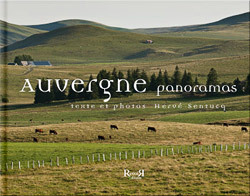 Auvergne is a striking summary of volcanism, the origin of fascinating landscapes. Nowhere in Europe there is also collected in a restricted area such a diversity of natural sites. The presence of these volcanoes, even when switched off exalts our imagination. This book offers Auvergne roam the land in search of remarkable landscapes and preserved, which the eye delights and spirit flies ... The essence of the scene is rendered so stunning. Total immersion in its most beautiful landscapes. . . . . . . . . . . . . . . . . . . . . . . . . . . . . . . . . . . . . . . . . . . . . . . . . . . . . . . . . . . . . . . . . . . . . . . . . . . . . . . . . . . . . . . . . . . . . . . . . . . . . . . . . . . . . . . . . . . . . . . . . . . . . . . . . . . . . . . . . . . . . . . .